Gail was born and raised in Southern Illinois. She has a 25-year background and passion for sales and professional business services. She gained knowledge and understanding by working in sales, retail, wholesale, distribution, employee leasing, professional employer organization, payroll services, and employment service industries. In 2010, she joined her two partners and opened Priority Staffing Group with much success. In 2012, they added Priority Payroll Co. and in 2015, she added Priority Professional Group to her portfolio as well. Gail excels at building relationships and is a very active member of the community, including memberships in SIPMA (Southern Illinois Professional Management Association) Executive Board and Marion Chamber of Commerce. Heather is a Southern Illinois native with a passion for career development and strategic placement with 15 years of recruiting experience. After many years in the industry, she become a business owner and partner of Priority Staffing Group, LTD in 2010. Success from that allowed her to expand with Priority Payroll Company in 2012, then again in 2015 with Priority Professional Group. Heather has worked with many different industries, becoming versatile in a wide range of professions, including Accounting/Finance, Engineering, Management, Manufacturing, and Operations/Logistics. She is a member of the Illinois Department of Labor Advisory Board since 2013 and she received the Entrepreneurial Achievement Certificate from Southern Illinois University in 2009. Carlos works with other officers to manage total business operations.He is a Certified Public Accountant and manages all finance business as well as governmental reports and tax preparation. He oversees all bookkeeping and financial needs. Carlos is President of Tanner, Cagle, & Johnson LLC. Celesta grew up in Marion, IL and was the first in her family to graduate college. She received her Bachelor of Science in Accounting and her Masters of Accountancy, Audit/Systems from Southern Illinois University. Before joining Priority Group, she worked for three years as a Cost Accountant and three years as an Accountant for doctors and hospitals. She brings this experience to Priority Group to help further the growth of the business. She chose this job because it keeps her close to home with her family. When not in the office, Celesta enjoys spending time with her husband and two boys, volunteering at the Boyton Street Community Center, traveling and taking pictures. 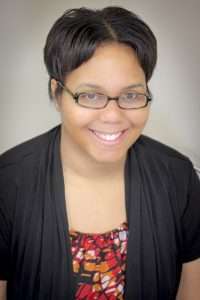 Brandy is a graduate of Southern Illinois University with a Masters in Social Work. Brandy brings her knowledge and experience for understanding situations that relates directly to Human Resources. She has a passion for helping individuals succeed in the workforce and using their acquired skill sets to better our communities, so she excels at providing top talent for multiple industries and in the field of her expertise. Her background in Social Work allows her to really connect with our employees and successfully place them in job matches. When she’s not assisting others on their career path, Brandy enjoys spending time with her daughter, family and friends. Staci is a graduate of Southern Illinois University – Carbondale with a Bachelor degree in Workforce Education and Development. She uses her experience in human resources and marketing to build lasting, mutually beneficial relationships with clients. Staci’s background in workforce education, paired with her passion for helping people, enables her to assist Southern Illinois industries to grow, expand and compete in the labor market. In her spare time, Staci loves to refurbish furniture and spend time with her husband, Zach, and their five pets, Toby, Boomer, Ruger, Remington and Maleficent. Megan grew up in Carterville, Illinois and started her first professional job soon after high school. She quickly worked her way up the ranks to a career in Human Resources and has spent the last 17 years in the field. She now has a broad range of experience in many industries such as banking and finance, manufacturing and engineering, as well as health care, which helps her manage our Direct Hire Placement department at Priority Staffing Group. Megan is involved in numerous organizations in Southern Illinois and is committed to working in our community. Emily is a graduate of Southern Illinois University with a Bachelor in Education. Emily’s past teaching experience transferred well to Human Resources by providing coaching and mentoring to our applicants on interview and communication skills. Emily’s ability to prepare our applicants for their future career paths establishes a higher quality applicant for our clients. 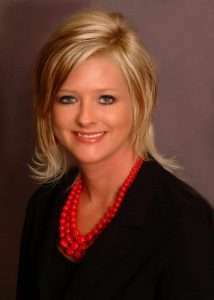 She has also been able to use her experience to manage our staffing team in the Marion office. Outside of work Emily enjoys spending time with her husband and two children, photography and relaxing summer days on her Grandmas front porch. Stephanie graduated Marion High School and went on to attend Lake Land Community College in Mattoon, Illinois for General Studies. Before joining Priority Staffing Group, she was a stay at home mom for four years. Her professional history includes Office Management for three years and 10 years’ experience in banking. She loves meeting and working with people, which helps her provide excellent customer service. Outside of work, Stephanie is married to a police office and they have three kids. She loves baking, crafting, traveling to her daughter’s dance competitions and being with her family on the weekends. Angela grew up in Southern Illinois and studied education at John A Logan College. She worked three years in the medical field before deciding to transition her career into the manufacturing workforce. She gained several years of knowledge in management while working with a diverse population. Bringing her experience and passion for helping others and working with the public to Priority Staffing Group, she is now preparing individuals for the workforce. Angela enjoys spending time with her husband and daughters when she’s not at work. Leah brings 10+ years of direct healthcare administration experience to Priority Staffing Group. Previously a Program Manager, she gained extensive knowledge in multiple state and federal programs including the Affordable Care Act. Her experience as an Affordable Care Act Navigator with Southern Illinois Healthcare Foundation paired with many training hours has given her an expertise in very complicated areas of business. Outside of work, Leah enjoys spending time with family and attending her children’s sporting events. Kara graduated Eastern Illinois College with a Bachelor in Education. She spent 10+ years teaching and then two years working as an adviser at the college level prior to joining Priority Staffing Group. She brings her experience working with a diverse population and she excels at preparing our youth for the workforce. 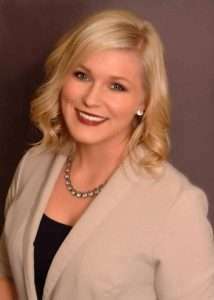 Kara is acting secretary for the Rotary Club of Vandalia, an executive board member of the Greater Fayette County Chamber of Commerce, a member of the Effingham County Chamber of Commerce, and the United States Bowling Congress. When not busy with work and community events, Kara enjoys spending time with her family and being outdoors. Liz is a Middle Tennessee State University alumna with a Bachelor degree in Journalism. She uses her experience in writing and communications to promote our company and lead our corporate marketing department. She also provides our applicants with resume revisions, job interview tips and coaching. Her background in management, combined with her passion for helping people, contributes to her efforts as Director in Priority Staffing Group’s Tennessee office. Outside of work, Liz loves traveling and spending time outdoors with her husband, Matthew, and their Great Danes, George and Violet. Angel, originally from the outskirts of Nashville, embraces her southern roots and values genuine hospitality, making her an expert client relations specialist. She received her degree in cosmetology, then pursued her administrative/business education at Middle Tennessee State University. Angel has been working in sales and business management for the past seven years in a wide variety of industries, including beauty, creative arts and real estate. She enjoys spending time with family, exercising, reading and serving at her church and other local ministries. Ally, originally from Southern Illinois, is currently pursuing a degree at Middle Tennessee State University. She brings six years of sales and customer service experience to Priority Group and loves that her time in insurance and event sales led her to this opportunity, where she’s able to meet people from so many different walks of life. Outside of work, Ally spends her free time with her husband and their two sons. They enjoy traveling and having new experiences together. Julie received her Bachelor’s Degree in Fashion Design from O’More College of Design in 2014. She worked in retail for three years where she gained experience providing outstanding service to every customer. As Office Coordinator, Julie transfers her exceptional service experience to Priority Group’s clients and employees. She also brings in her design background to help develop our candidate marketing strategies. Outside of work, Julie enjoys spending time with her husband, Hunter, their dog, Rebel and cat, Fancy.